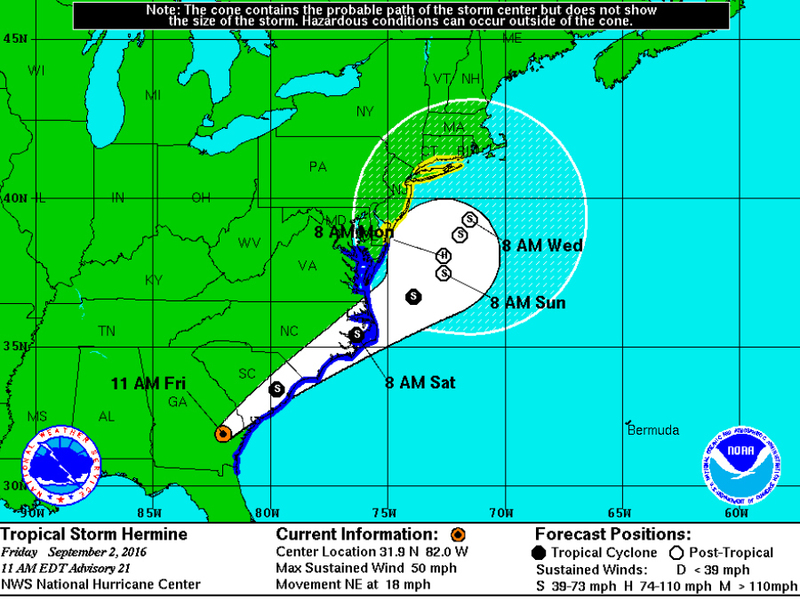 Where does Hermine go from here? Hurricane Hermine made landfall in Florida early Friday morning, breaking Florida's 11-year hurricane dry spell. Once the storm made landfall, it quickly weakened to a tropical storm, but it didn't slow down, continuing to the northeast. Hermine will continue to move up the coast, bringing heavy, flooding rains, strong winds and dangerous surf to the Carolinas, Virginia, Maryland and possibly Delaware. After the Labor Day Weekend, the storm appears to lose a lot of momentum, lingering off the Delaware and New Jersey coasts.